1,Your best choice for Hiking,Climbing,Traveling,Cycling,Fishing and any kinds of outdoor activities. The added wool pants must be the best choice in this cold winter. 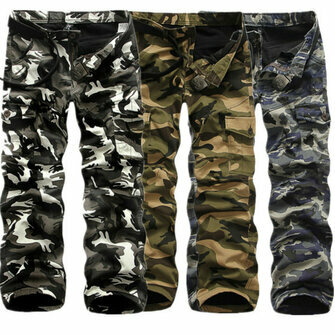 After ordering similar cargo that were too tight and no pockets these are excellent quality with a nice black fleece lining. Feel sturdy and secure ready to chase things down. Highly recommended.